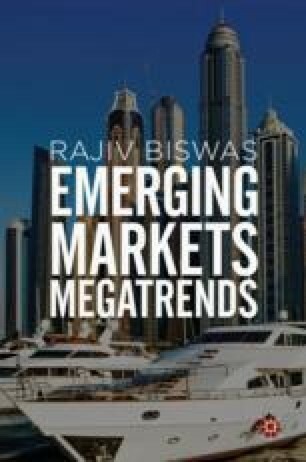 The rising economic importance of developing countries in the global economy is one of the key global megatrends that has transformed the international economic order, resulting in the growing geopolitical influence of large emerging markets such as China and India. However many developing countries still face tremendous challenges due to a toxic mix of factors, including adverse demographic trends, disruptive technological change as well as global warming. Conflicts have also been a key factor that has disrupted the economic development of many developing countries. Despite these challenges, the share of world GDP accounted for by developing coutries will continue to rise, increasing the geopolitical, economic and investment impact of emerging markets on the global political landscape.